So, you’re having a Halloween party for the kids? 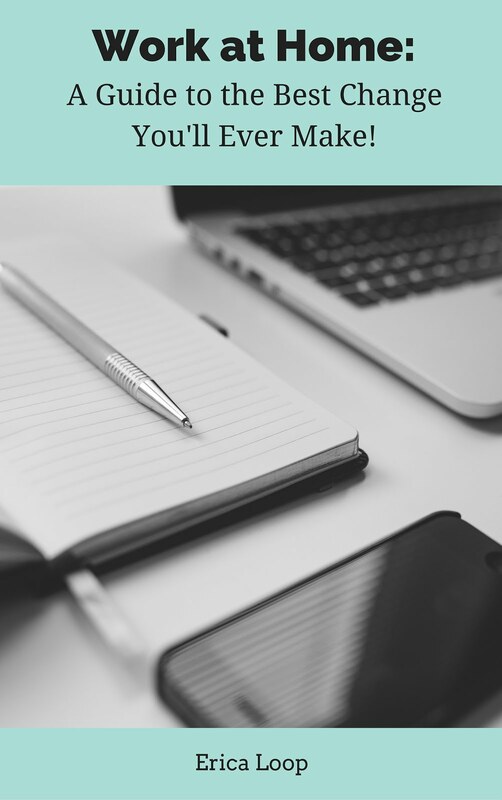 While I’m certain that there are plenty of parents out there who are super-organized and have parties planned from the second that they out them on their calendars – I’m not one of them. After all, there are only 24 hours in a day. Between carpools, homework, soccer practice, cooking, shopping (the necessary kind, not the good kind) and everything else that you do on a daily basis, if it’s a few weeks before Halloween and you’re yet to plan the night’s festivities – no one will fault you. Sure, a bowl of candy corn is fun. 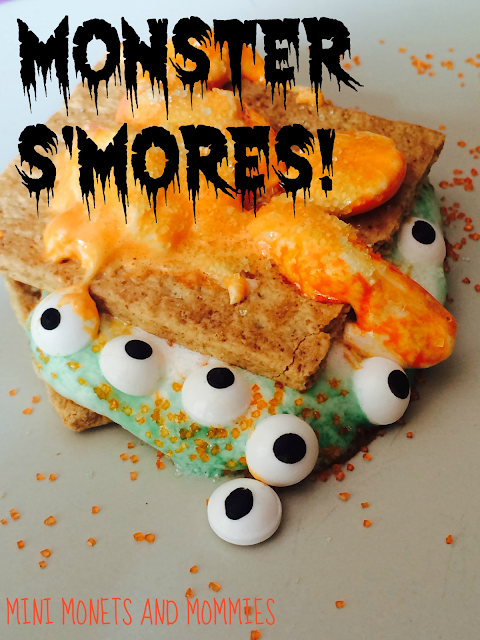 But, why not have the kids decorate their own flavored s’mores in yellow, orange and white? 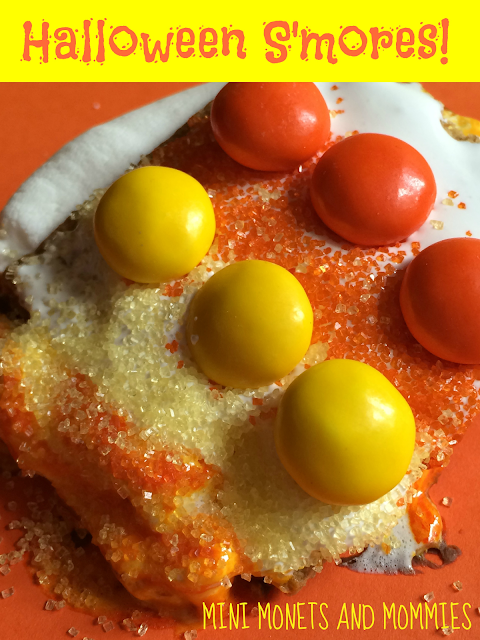 I used candy corn M&M’s as décor. Ewwww! 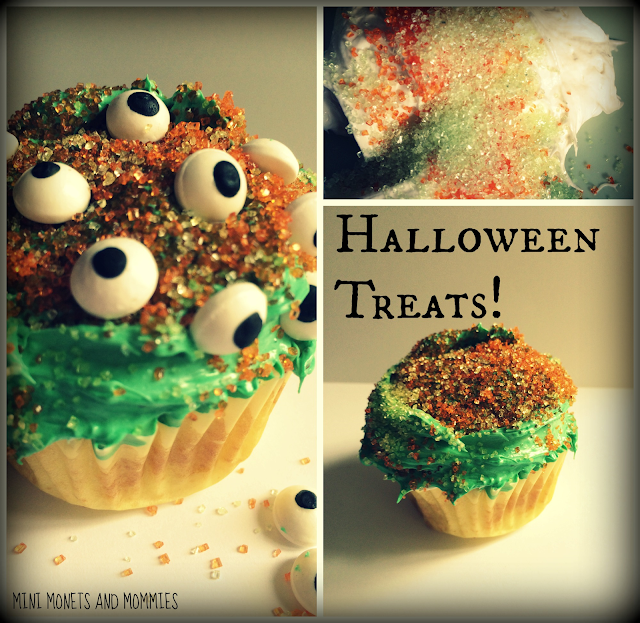 Bake up these creepy cupcakes with a special secret ingredient (its sour apple Kool-Aid) and let the kids press on candy monster eyes. Much like the monster cupcakes – minus the sour taste. These blood-soaked cupcakes are just regular chocolate cakes with white frosting. 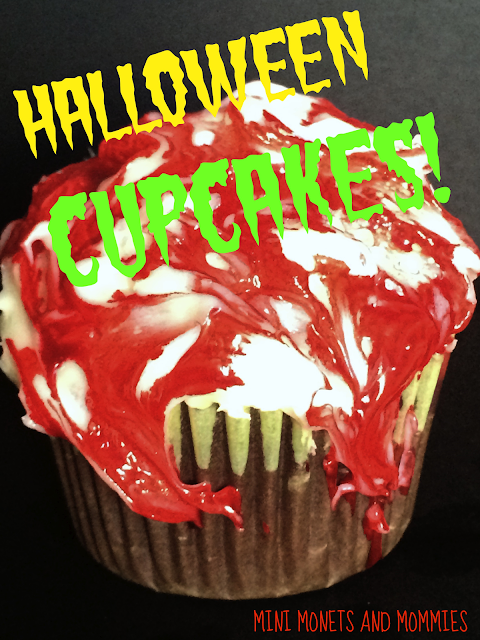 Let the kids drip ‘blood’ (red food coloring) on the frosting for a Halloween effect. My son loved making these. You’ll need a black light, green gelatin and tonic water. Make the gelatin with the tonic and watch it glow under the black light. Have the party guests top frosted cupcakes (use white or a light-colored frosting) with gelatin to create ‘alien slime’ or ‘monster snot’. 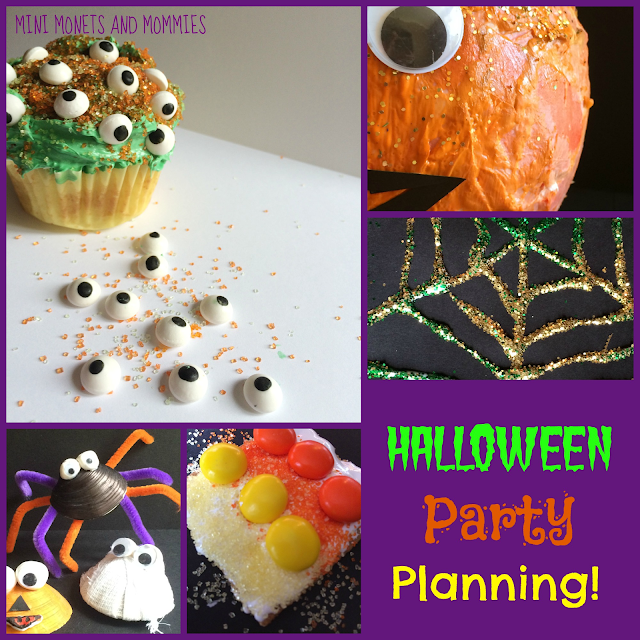 While these party treats also double as activities, you can also add in a craft or two. 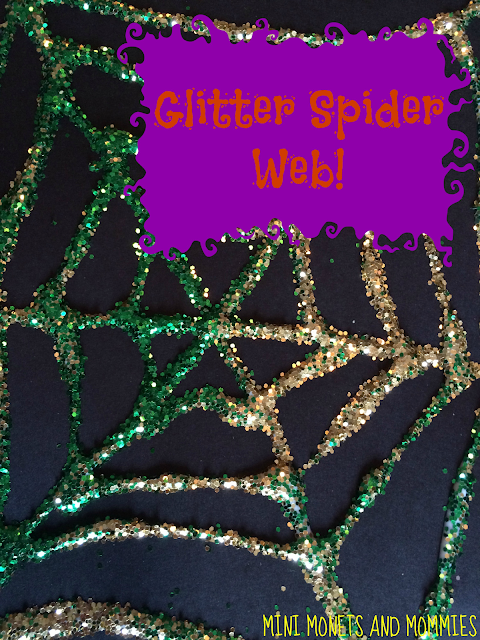 Make these during the party or create them with your kids ahead of time to use as décor. Yes, you’ll get glitter all over your house. But, the kids will enjoy this one. As a bonus – you only need three materials. 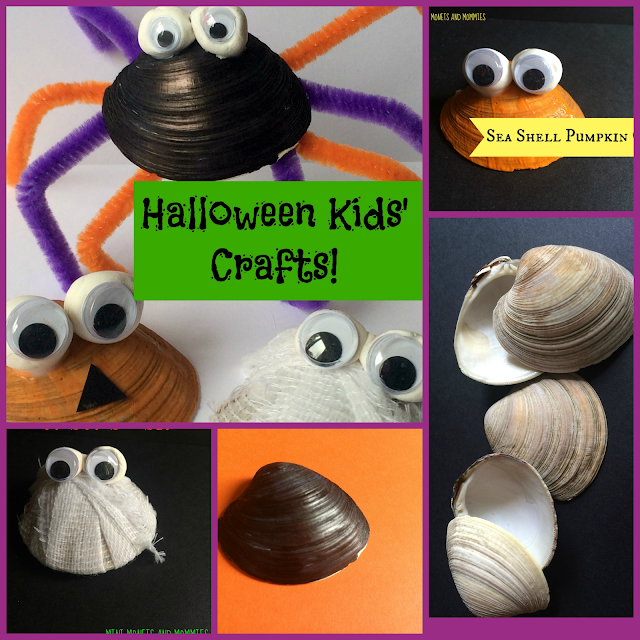 Paint, draw on and cover clam shells to make cute, no-so-creepy pumpkins, mummies and spiders. This sculpture activity is a bit extensive for party-time. That said, it does make a creative decoration for a buffet table. 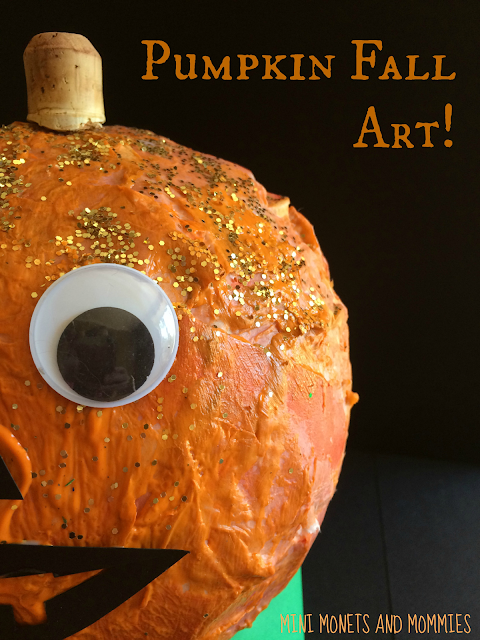 Have your child create it a few days beforehand, giving the pumpkin time to dry. Another pre-party décor option. 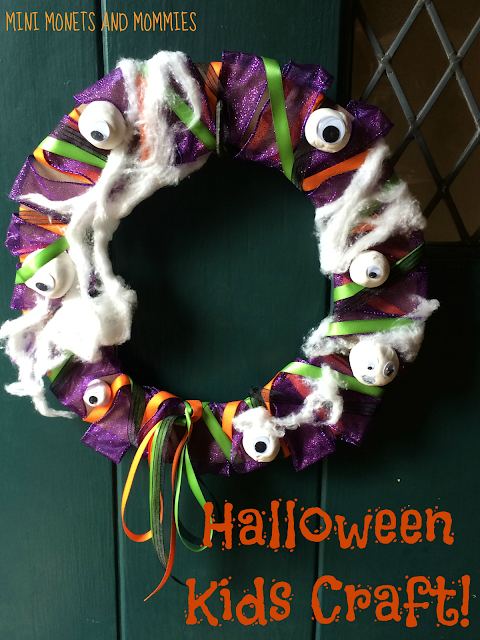 Reuse a pizza box and turn it into a frightful decoration for the front door. This simple homemade play dough recipe is scented and colored with raspberries. 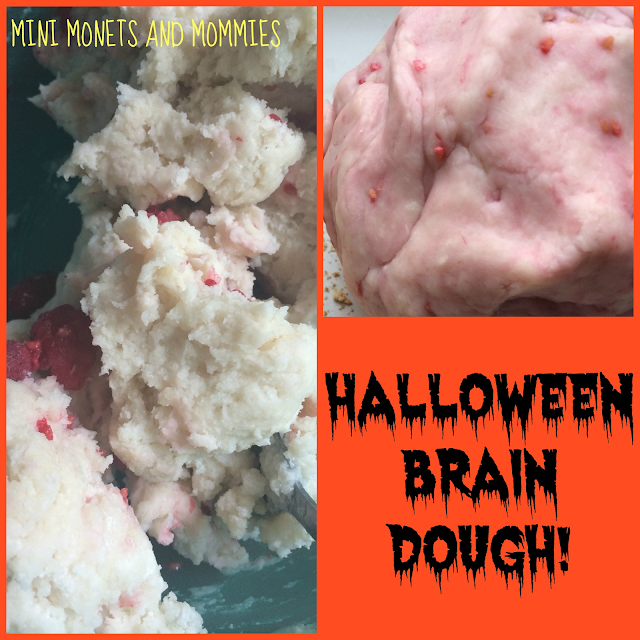 Mix up a batch before the party starts, put it in a bowl and let the kids mush up the icky ‘brain dough’. 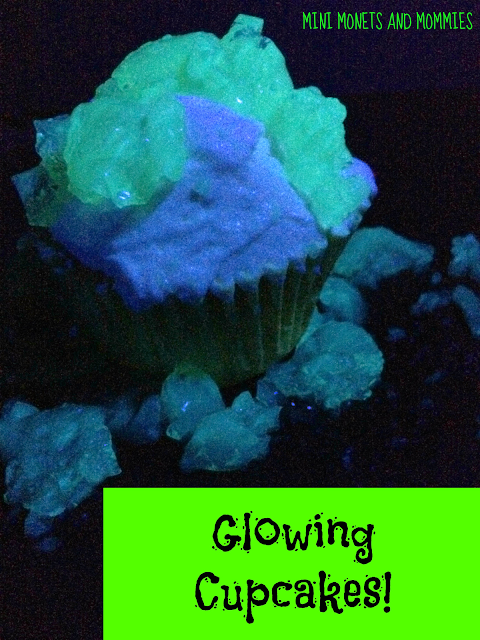 If you already have the black light out for the glowing cupcakes, try this activity as well. 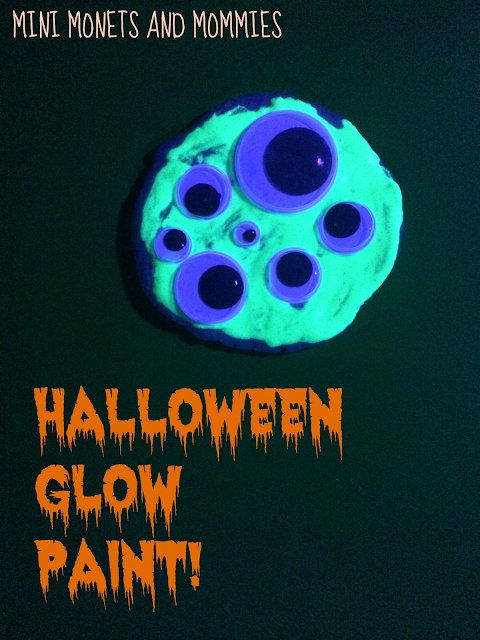 Mix glowing paint with shaving cream or use it on its own to make cute, but kind of creepy, creations! Are you looking for more ideas? Follow my fall Pinterest board for recipes, games and other activities! When we were starting to plan our wedding, we contacted this event planning team and received an email back almost right away. They were very helpful with any questions that we had regarding their services and answered emails and phone calls very promptly.